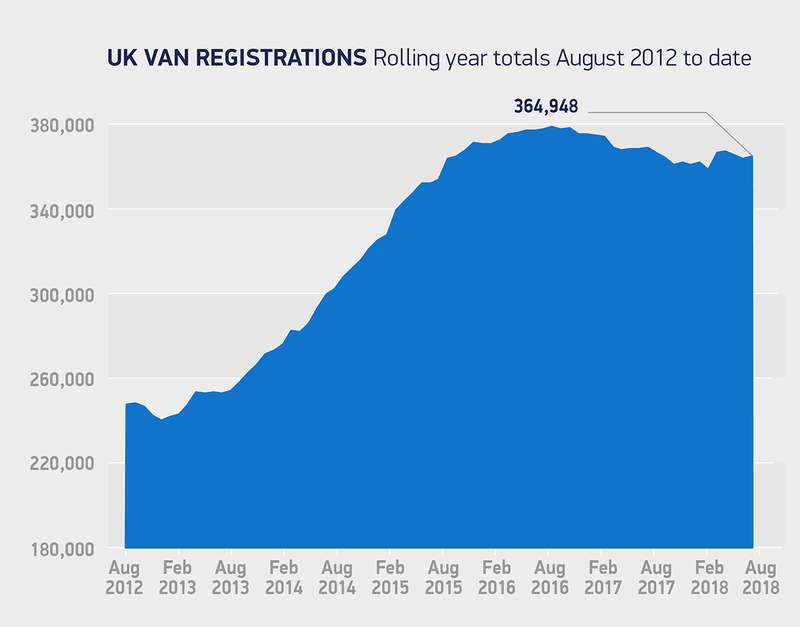 New light commercial vehicle registrations increase 5.0% in August, as 16,394 vans and pick-ups join British roads. Uplift in demand for popular large vans (14.6%) and pickups (21.4%) offsets declines for medium (-29.7%) and smaller (-9.3%) models. Year-to-date market down -2.2% compared to same period in 2017, as monthly registrations continue to fluctuate. The British light commercial vehicle (LCV) market grew last month according to figures released today by the Society of Motor Manufacturers and Traders (SMMT). 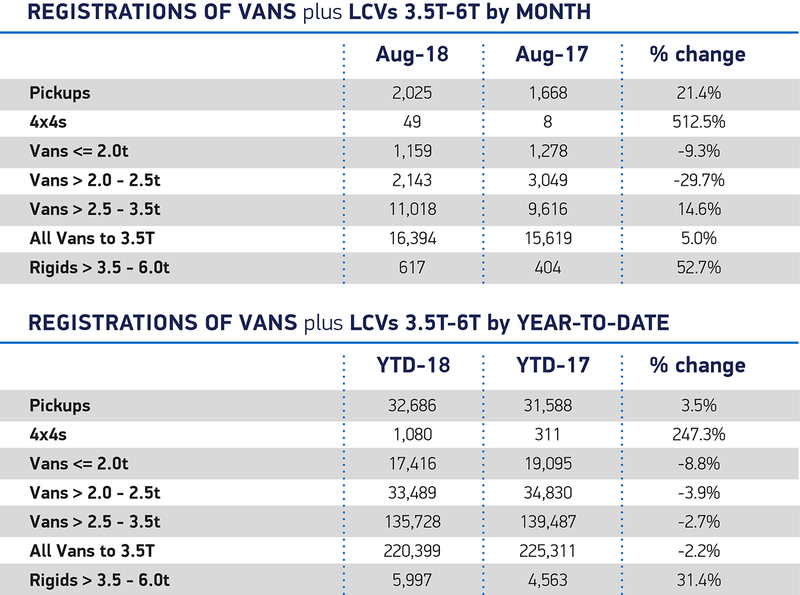 Just over 16,000 new LCVs were registered in the traditionally small month of August, representing a 5.0% increase in demand. Pickups experienced the largest rise in the month up 21.4.%, while demand for large vans saw a 14.6% increase to take over two-thirds (67.2%) of all van registrations. Meanwhile, it was a different picture for small and medium sized vans which fell -9.3% and -29.7% respectively. 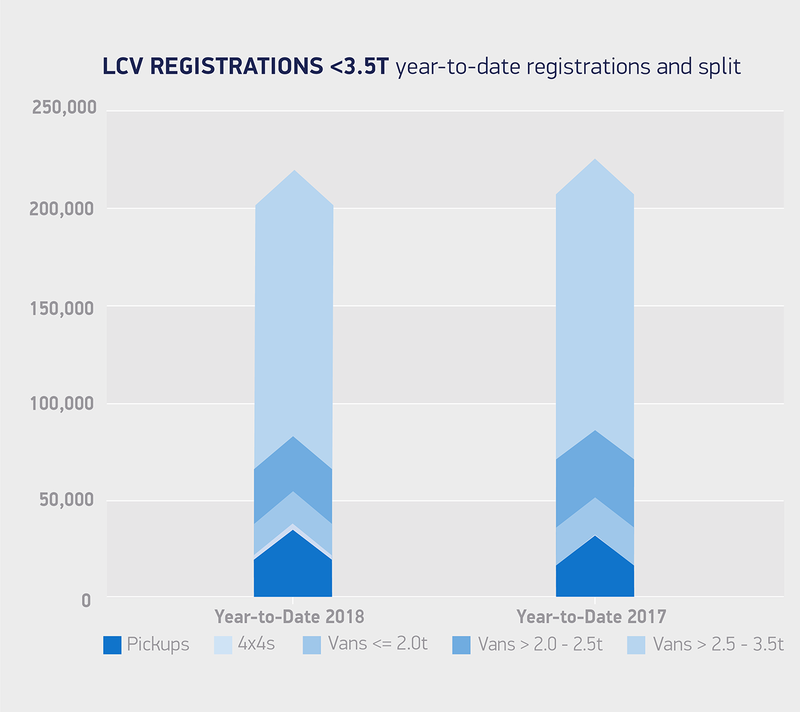 Year-to-date registrations are down -2.2%, with 220,399 new LCVs joining British roads so far this year, as fluctuating registrations caused by variations in fleet buying cycles and business confidence continue to affect the market. August is typically one of the quietest months for new LCV registrations, so the increase in demand for these high-tech, ultra-low and zero-emission vehicles is especially welcome news. While year-to-date figures show the market remains at a reasonably high level, weak business confidence and uncertainty means fluctuations in demand will likely continue throughout year.